We have been upgrading the features of the contractor database within the permit to work module. It is now possible to upload documents for the contractor such as their H&S Policy and Employer Liability insurance certificate to be available when generating permits. Inducted contractor employees are added to a schedule for the contractor and only staff members whose induction training is within date can be selected for a permit. We have also added facility whereby a URL link can be sent to a contractor so that they can update their own record and upload the latest copies of required documentation. 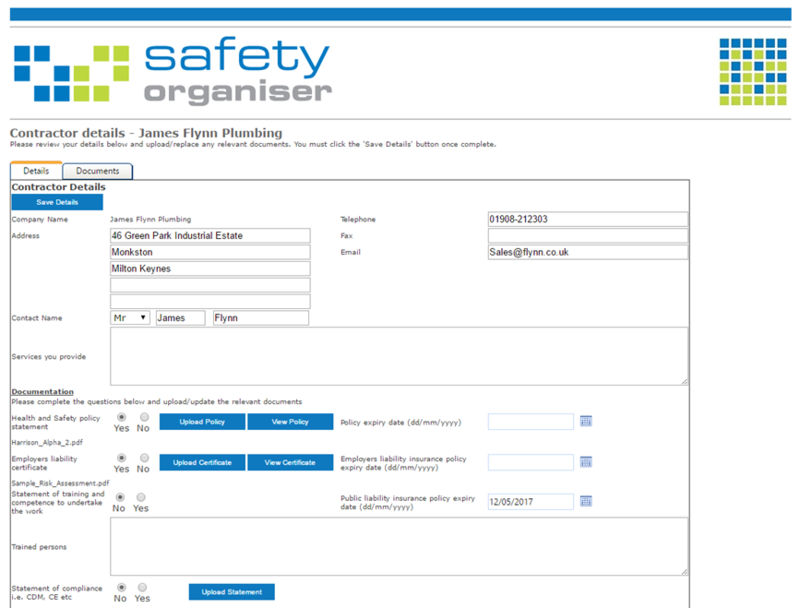 Email notification of the update by the contractor is sent to the key users of the permit module of Safety Organiser.